Most of us are pretty diligent about staying hydrated in the hot summer months especially when we exercise and enjoy fun in the sun. 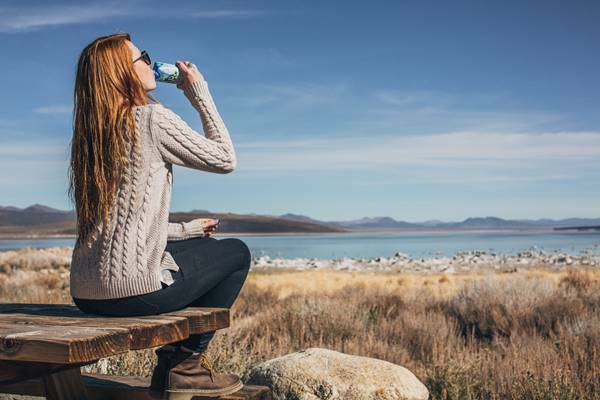 But did you know that getting dehydrated in winter can happen just as quickly as in warmer weather? And more often than not winter is the time we let our guard down when it comes to hydration, as our bodies’ thirst response is reduced, fooling it into thinking that it’s properly hydrated. One delicious hydration solution that will see you through colder winter months is Vita Coco 100% Natural Coconut Water. Based on one single ingredient – fresh, natural coconut water from young, green coconuts - Vita Coco is bursting with naturally occurring potassium and essential electrolytes. Lower weather temperatures can often lead to hypertension, due to blood vessels narrowing, but thanks to its electrolyte content, coconut water can help in regulating blood pressure. By preserving your body’s precious fluid levels, you can assist in keeping infection at bay. Winter is synonymous with drier air, which can quickly rob your body of fluids, making you feel tired, weak and more susceptible to sickness. By regularly hydrating with coconut water, your body is better able to fend off these illnesses. Your skin often bears the brunt of winter with hash winds robbing it of protective lipids and indoor heating drying it out. By failing to stay hydrated, your skin will look tired and those tell-tale signs of dark circles under your eyes can often appear. So to help counteract this, up your fluid intake to improve and maintain your body’s circulation of nutrients and oxygen to give your skin an irresistible radiance. Coconut water is a great skin hydration solution, as it moisturises it from the inside out. Your body needs ample fluids to break down fats and convert it to energy. Added to this, if you don’t drink enough fluids in winter, your body will quickly hold on to every drop, retaining fluids and making the numbers on the scale go up a notch. Thanks to its zero fat content, coconut water won’t wreck your diet and will also eliminate unnecessary cravings by making you feel fuller after drinking it. Also, because coconut water is an isotonic drink, it provides a great pick-me-up before, during or after exercise - spelling success for your winter workout. Don’t forget to keep hydrated even during those winter months! Vita Coco is available in Woolworths, Pick n Pay and Spar stores nationwide, as well as independent retailers, lifestyle and fitness centres. It retails from R24.95 for the 330ml and R54.95 for the 1 Litre. Vita Coco is the brand that started the coconut water beverage trend when it was first introduced in New York, in 2004. Founded by long-time friends Michael Kirban and Ira Liran, Vita Coco has gone from a two-man start-up business into a growing global beverage brand now available in 30 countries. In Europe, Vita Coco is sold at nearly 20,000 retailers and South Africa is sold at Woolworths, Pick n Pay, Spar stores and independent retailers nationally. For more information on Vita Coco, visit http://www.vitacoco.com/za/.